Ag Decision Maker - Information and analysis provided at this Iowa State University Extension Service web site will help you find solutions for many of the business, economic, and financial decisions facing farmers and agribusinesses. AgEcon Search - Search full text library of agricultural and applied economics scholarly literature. AgNIC (Agriculture Network Information Center) - Quality agricultural information on the Internet as selected by the National Agricultural Library, Land-Grant Universities, and other institutions. AgProfessional - Provides agronomic and business management solutions to retailers/distributors, professional farm managers and crop sconsultants resulting in increased production and profitability in the food, fiber and energy marketplace. Agri Pulse - Comprehensive weekly report of the latest in agricultural information. Agricultural Economics (USDA/Cornell) - Over 140 data sets on U.S. crops, livestock, trade, and prices. Agricultural Management e-School (AMES) - Seeks to extend management education to agricultural producers, educators and service providers. AMES complements traditional meetings, bulletins and newsletters. In-depth self-study courses and resource centers that address important management topics are available at any time and any place that an Internet connection exists. Agricultural News - Provided by Doane. Agricultural Online Access (Agricola) - Access records of articles, chapters, reports, and reprints, encompassing all aspects of agriculture and allied disciplines. Maintained by the National Agricultural Library. Agricultural Research Service (ARS) - ARS, one of the Research, Education and Economics (REE) agencies, is the main in-house research arm of the U.S. Department of Agriculture (USDA). Agricultural Statistics (USDA) - U.S. agricultural production, supplies, costs, and facilities for past ten years. National, foreign, and some state data. Agriculture B2B - Industry web site with extensive links to web sites on biotechnology, animals and crops, marketplace channels and news. Agriculture Fact Book (USDA) - Offers information about U.S. agriculture and describes all USDA programs. Also provides useful information about food safety, nutrition, rural issues, research, education, and natural resources. Agriculture Science Links - Resources provided by Galaxy portal. AgricultureLaw - Provides farmers and ranchers with a comprehensive source of timely information and ideas on agricultural policy. Agweb - Agriculture news online. Read the latest in corn growing, soybean farming, crop farming, dairy farming & stay up to date on the latest future trading information. Agronomic Crops Network - News, information, and resources for agronomic crop production. Almond Market - Almond industry news and headlines. American Farm Bureau - An independent, non-governmental, voluntary organization governed by and representing farm and ranch families united for the purpose of analyzing their problems and formulating action to achieve educational improvement, economic opportunity and social advancement. Useful links page. American Livestock Breeding Conservancy - A nonprofit membership organization working to protect nearly 100 breeds of cattle, goats, horses, asses, sheep, swine and poultry from extinction. American Society of Farm Managers and Rural Appraisers (ASFMRA) - Organization for professionals who provide management, valuation, and consulting services on agricultural and rural assets. AFM, ARA, RPRA, and AAC are used to indicate Accredited Members of the ASFMRA. AFM, ARA, RPRA, and AAC designations are earned through years of experience, education, testing, and adherence to strict Society requirements for standards, ethics, and continuing education. The American Society may only refer the accredited members to potential clients since they have completed all required education and testing as prerequisite to accreditation and have passed a comprehensive accrediting examination that ensures Society confidence in their professional qualifications. Find a land expert here. An Agricultural Testament by Sir Albert Howard - Since this book first appeared in 1940, it has been regarded as one of the most important contributions to the solution of soil rehabilitation problems ever published. More important, it has been regarded as the keystone of the organic movement. The late Louis Bromfield called it "the best book I know on soil and the processes which take part in it.Soil Science called it "the most interesting and suggestive book on soil fertility which has appeared since King's Farmers of Forty Centuries." And Mother Earth News recently called it "the most basic of all introductions to organic farming by the founder of the modern movement." Aromatic-MedicinalPLANTS - A guide to aromatic & medicinal plants, culinary herbs & spices. Average Crop Revenue Election (ACRE) - Under the new Food, Conservation, and Energy Act of 2008 producers of USDA program crops such as soybeans, wheat, and corn have the option to enroll in a new counter-cyclical revenue plan. The program is called Average Crop Revenue Election, or ACRE for short. It is being offered as an alternative to the counter-cyclical payment option under the 2003 farm bill. ACRE uses a combination of state average yields, farm level yields, and the national marketing year price to determine levels of revenue guarantees and payments for each covered commodity. There are two revenue triggers that have to be met before any ACRE payments are generated, one at the state level and one at the farm level. Farms correspond to FSA units, just as for the current commodity programs. The price component of both of these triggers is the average of the two most recent USDA marketing year prices. For corn and soybeans the marketing year runs from September through August. Marketing year prices are based on cash prices (not futures) paid throughout the country. Bee Alert Technology, Inc. - Develops commercial uses for bee-based technology. The private company, which licenses for technology transfer with University of Montana, is a veritable think tank for bee solutions that go beyond the beekeeping field. For instance, the company is developing technology - using trained bees - to detect and identify miniscule amounts of chemical agents. Researchers at the company have already trained bees to locate radioactive material, harmful metals and explosives. The company developed HiveTracker, HiveMarker and HiveSentry - all designed to help beekeepers track and identify their hives. Also see the National Bee Loss Survey. Better Crops with Plant Food (BC) - Research related to nutrient management. Bio-Rad Laboratories - Food, animal and environmental testing; life science research. Biosecurity Research Institute (BRI) - A biocontainment research and education facility located on the Kansas State University Manhattan campus. The BRI supports comprehensive multidisciplinary research, education and training programs that address threats to plant, animal, and human health, including food-borne pathogens. Black Farmers and Agriculturalists Association (BFAA) - A non-profit organization created to respond to the issues and concerns of Black farmers in the U.S. and abroad. 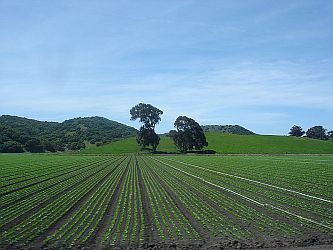 California Certified Organic Farmers (CCOF) - Offers programs for farmers, consumers, educators, and researchers to increase awareness of and demand for certified organic products and to expand public support for organic agriculture. 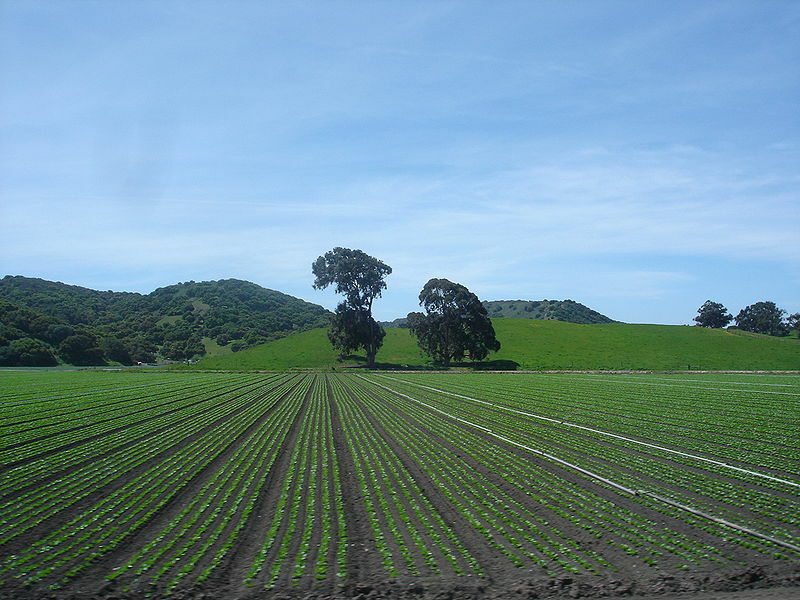 Census of Agriculture - State and county data on land in farms, products sold. Center for Agricultural and Rural Development (CARD) - Conducts public policy and economic research on agricultural, environmental, and food issues. Climate-Smart Agriculture (CSA) - CSA is an approach that helps to guide actions needed to transform and reorient agricultural systems to effectively support development and ensure food security in a changing climate. CSA has three main objectives: sustainably increasing agricultural productivity and incomes; adapting and building resilience to climate change; and reducing and/or removing greenhouse gas emissions, where possible. Colorado State University Cooperative Extension - Consumer, agricultural, gardening, crop, food and nutrition, livestock, and natural resources information. Cooperative State, Research, Education, and Extension Service (CSRESS) - CSREES advances knowledge for agriculture, the environment, human health and well-being, and communities through national program leadership and federal assistance. CSREES is one of four USDA agencies that make up its Research, Education, and Economics (REE) mission area. Core Historical Literature of Agriculture (CHLA) - Cornell University electronic collection of agricultural texts published between the early nineteenth century and the middle to late twentieth century. Full-text materials cover agricultural economics, agricultural engineering, animal science, crops and their protection, food science,forestry, human nutrition, rural sociology, and soil science. Crop Observation and Recommendation Network Newsletter - From the Agronomic Crops Network. Insect and disease management, crop production, pesticide/herbicide recommendations, research results and program/workshop information. CropEXPERT - Directory of new crop resource personnel. CropINDEX - A list of scientific and common names of crops for information access. CropMAP - A nation-wide (US) location-specific crop information system. CropREFERENCE - Books and manuals on crops. CropSEARCH - A search engine to access crop information based upon key words. CUESA - Organized in 1994 to educate urban consumers about sustainable agriculture and to create links between urban dwellers and the farmers who practice sustainable agriculture in the San Francisco Bay Area. Also provides Seasonal Vegetable Chart and Seasonal Fruit and Nuts Chart. Doane - Multi-media provider for trusted information, advice and business solutions to agriculture. Economic Research Service (ERS) - The main source of economic information and research from the U.S. Department of Agriculture (USDA). Provides information on economic and policy issues related to agriculture, food, natural resources, and rural development. ERS Briefing Rooms offers a listing of recent ERS research developments, readings and data. Data offers a listing of various ERS data products organized by product, title, date, topic. EggIndustry - Exposing the truth about eggs. EPA: Pesticide Fact Sheets - The EPA's Office of Pesticides Program works with registrants to recall products whenever products are deemed faulty or substandard or could potentially cause injury to consumers or harm to the environment. Registrants often voluntarily recall products and reformulate or repair potential hazards. Factory Farming - Factory farming is an attitude that regards animals and the natural world merely as commodities to be exploited for profit. In animal agriculture, this attitude has led to institutionalized animal cruelty, massive environmental destruction and resource depletion, and animal and human health risks. Famine Foods - A list of unconventional food sources. FAO Food Price Index (FFPI) - A measure of the monthly change in international prices of a basket of food commodities. It consists of the average of five commodity group price indices (representing 55 quotations), weighted with the average export shares of each of the groups for 2002-2004. Farm Aid - Stages America's longest running annual concert event that unites farmers, artists, consumers, and concerned citizens to build a powerful movement for good food from family farms. Throughout the year, Farm Aid promotes food from family farms through inspiring and informative television, radio, mail, and web campaigns. Farm Aid works with and provides grants to local, regional and national organizations to promote fair farm policies and grassroots organizing campaigns to defend and bolster family farm centered agriculture. Farm Labor (USDA/NASS) - Employment and wages by broad type of farm, region, and size class. Farm Machinery Locator - UK site presents farm machinery for sale from traders and farmers. Chicago Board of Trade (CBOT) / CME Group - Established in 1848, CBOT is the world's oldest futures and options exchange. More than 50 different options and futures contracts are traded by over 3,600 CBOT members through open outcry and eTrading. Volumes at the exchange in 2003 were a record breaking 454 million contracts. On 12 July 2007, the CBOT merged with the Chicago Mercantile Exchange (CME) to form the CME Group, a CME/Chicago Board of Trade Company. CBOT and three other exchanges (CME, NYMEX, and COMEX) now operate as Designated Contract Markets (DCM) of the CME Group. Farmers National Company - Largest employee-owned farm and ranch management, real estate, oil and gas management, and ag services company in the U.S. Farming Solutions - Presents real solutions to hunger and poverty. Farming Solutions brings examples of successful, environmentally responsible farming systems to life from all over the world, illustrating how farmers can protect the environment while at the same time increasing food supply where it is most needed. Site provided thru joint efforts of Greenpeace, Oxfam and ILEIA. Farms - A marketplace for all participants in agriculture, where crop producers and livestock farmers can come together and do business without having to step a foot off their farms. Federation of Southern Coooperatives Land Assistance Fund - Fighting to save black owned land. Food and Agriculture Organization (FAO) of the United Nations - Promotes agricultural development, improved nutrition and food security. Forest Products Laboratory - Part of U.S. Forest Service Research & Development. FSTA - A food science resource, an intelligence service constantly monitoring research and developments in the areas of food science, food technology and nutrition, from farm to fork and beyond. Glassy-winged Sharpshooter - The glassy-winged sharpshooter leafhopper (Homalodisca coagulata), its effects on crops in California, Pierce's disease. Grain Inspection, Packers and Stockyards Administration (GIPSA) - Part of USDA's Marketing and Regulatory Programs, GIPSA facilitates the marketing of livestock, poultry, meat, cereals, oilseeds, and related agricultural products, and promotes fair and competitive trading practices for the overall benefit of consumers and American agriculture. Green Revolution Revisited and the Road Ahead (.pdf) - On September 8, 2000, thirty years after he received the Nobel Peace Prize, Laureate Norman Borlaug presented this lecture at the Norwegian Nobel Institute in Oslo. Explores the role of science and technology in the coming decades to improve the quantity, quality and availability of food for all of the world's population. Grow Peanuts - An educative website covering everything related to peanuts and peanut plants, its growth process and even some information on other nuts such as the pistachio nut and the almond. Hydro Web - Links Hydrology-related resources. Insect Parasitic Nematodes - Advice for using insect parasitic nematodes. Institute for Agriculture and Trade Policy (IATP) - Promotes resilient family farms, rural communities and ecosystems around the world through research and education, science and technology, and advocacy. Integrated Crop Management News - Source for Iowa crop production news. Also see Indices of Past Issues. International Institute for Sustainable Development (IISD) at ISDnet - Promotes sustainable development in decision-making internationally and within Canada. International Plant Nutrition Institute (IPNI) - Dedicated to responsible management of plant nutrients - N, P, K, secondary nutrients, and micronutrients - for the benefit of the human family. With established programs in Latin America, North America, China, India, Southeast Asia, and planned expansion in other areas of the world, IPNI is a global organization ready to respond to the world's demand for food, fuel, feed, and fiber. IPNI provides a unified, scientific voice for the world's fertilizer industry; independent of the industry, but scientifically credible and recognized by governments, academia, NGOs, the public, and the industry. Iowa Ag Connection - A subsidiary of USAgNet.com, a network of Web sites that serve the needs of the agricultural industry with local, state and national information on a daily basis. Iowa Corn - Official site of the Iowa Corn Promotion Board and the Iowa Corn Growers Association. Iowa State University Extension - Agriculture business and industry news, crops, farm management, food and nutrition, livestock, community economic development. Also see Iowa State University Extension News, Agriculture and Natural Resources, and Agronomy Extension. LandAndFarm - The largest listing service of farms, timberland and rural property in the world. Also see LandAndFarm Newsletter and Press Releases. Lessons from the Green Revolution - By Peter Rosset, Joseph Collins, and Frances Moore Lappe. Local Harvest - Directory of small farms throughout the United States. Michael Pollan - Michael Pollan is the author of In Defense of Food: An Eater's Manifesto; The Omnivore's Dilemma: A Natural History of Four Meals; The Botany of Desire; Second Nature; and A Place of My Own. Also see Pollan's links page. National Agricultural Law Center - In 1987, Congress recognized the University of Arkansas School of Law for its "unique expertise in the area of agricultural law" and called for the creation of the National Center for Agricultural Law Research and Information at the Law School. Since then, the National Agricultural Law Center has been funded with federal appropriations through the National Agricultural Library, an entity within the USDA Agricultural Research Service. The Center conducts objective legal research and provides timely, accurate, and non-partisan agricultural information to those in the agricultural community. National Agricultural Library (NAL) - Part of the Agricultural Research Service of the U.S. Department of Agriculture, NAL is a major international source for agriculture and related information. National Agricultural Statistics Service (NASS) - USDA agency providing U.S. agricultural stistical information. NASS publications cover a wide range of subjects, from traditional crops, such as corn and wheat, to specialties, such as mushrooms and flowers; from calves born to hogs slaughtered; from agricultural prices to land in farms. The agency has the distinction of being known as "The Fact Finders of U.S. Agriculture" due to the abundance of information it produces. National Bio and Agro-defense Facility (NBAF) - U.S. Department of Homeland Security's animal disease research facility. After a three-year site selection process, Manhattan, Kansas, was selected as the location for NBAF. The facility, located on Kansas State University's Manhattan campus and adjacent to the university's Biosecurity Research Institute, places NBAF near important veterinary, agricultural and biosecurity research and expertise. The facility is expected to be operational by 2022-2023. National Honey Board - Conducts research, advertising and promotion programs to help maintain and expand domestic and foreign markets for honey. The Board's work, funded by an assessment of one cent per pound on domestic and imported honey, is designed to lift the awareness and use of honey by consumers, the foodservice industry and food manufacturers. National Sustainable Agriculture Information Service/Appropriate Technology Transfer for Rural Areas (ATTRA) - Provides technical assistance, breaking news, funding resources, and sustainable agriculture publications to farmers, Extension agents, market gardeners, and agricultural researchers in the United States. The Service is managed by the National Center for Appropriate Technology (NCAT), through its ATTRA program, with funding from the United States Department of Agriculture. NCAT Sustainable Agriculture Project - Provides information and technical assistance to farmers, ranchers, Extension agents, educators, and others involved in sustainable agriculture in the United States. New Farm, The - Farmer-to-farmer know-how. Organic farming, organic agriculture. New York Center for Agricultural Medicine and Health (NYCAMH) - Enhancing rural and community health by preventing and treating occupational injury and illness. NewCROP - An information-rich site related to crop plants. Not by Bread Alone - America's culinary heritage. This Cornell Library exhibition exhibition highlights rare books, photographs, menus, and other early documents that trace the history of gastronomy in America. Ohioline - Access hundreds of factsheets, bulletins and other educational materials covering a wide array of subjects - such as agriculture, natural resources, family and consumer sciences, community development, 4-H and youth. Presented by the College of Food, Agricultural, and Environmental Sciences, Ohio State University. Organic Consumers Association (OCA) - Campaigning for food safety, organic agriculture, fair trade and sustainability. Organic Farming Research Foundation (OFRF) - Sponsors research related to organic farming practices, disseminates research results to organic farmers and to growers interested in adopting organic production systems, and educates the public and decision-makers about organic farming issues. Rodale Institute - Nonprofit dedicated to pioneering organic farming through research and outreach. Path to Freedom: Urban Homesteading - Urban homesteading, simple living, growing your own food. Pioneering a journey to self-sufficiency one step at a time. Pesticide Action Network North America (PANA) - Campaigns to replace pesticides with ecologically sound alternatives. Phytosanitation Agencies Listed by Country - Plant quarantine information and phytosanitation permits for all countries. pigCHAMP - Information management systems for animal agriculture. Plant and Insect Parasitic Nematodes - Nematodes are the most numerous multicellular animals on earth. A handful of soil will contain thousands of the microscopic worms, many of them parasites of insects, plants or animals. Free-living species are abundant, including nematodes that feed on bacteria, fungi, and other nematodes, yet the vast majority of species encountered are poorly understood biologically. There are nearly 20,000 described species classified in the phylum Nemata. Pork News - Industry news for professional pork producers. Real Green Revolution, The (.pdf) - Greenpeace study by Nicholas Parrott and Terry Marsden on organic and agroecological farming in the South. Realtors Land Institute (RLI) - An affiliate of the over million-member National Association of Realtors. It is the only branch of the REALTOR® family focused on land brokerage transactions of five specialized types: (1) farms and ranches, (2) undeveloped tracts of land, (3) transitional and development land, (4) subdivision and wholesaling of lots, and (5) site selection and assemblage of land parcels. Research, Education and Economics (REE) Agencies of the USDA - The purpose of this site is to provide access to the information resources of the REE agencies. Rotokawa Cattle Company - Working to establish local, sustainable economies based on 100% grass-fed beef production that benefits everyone: the animals, the producers, the consumers, and the environment. Rural Advancement Foundation International (RAFI-USA) - Dedicated to the conservation and sustainable improvement of agricultural biodiversity, and to the socially responsible development of technologies useful to rural societies. RAFI is concerned about the loss of genetic diversity - especially in agriculture - and about the impact of intellectual property on agriculture and world food security. Safety Information Resources - MSDS links. Society for Theriogenology - Theriogenology is that branch of veterinary medicine which deals with reproduction, including the physiology and pathology of male and female reproductive systems and the clinical practice of veterinary obstetrics, gynecology, and semenology. Soil Taxomnomy - In 1975, Soil Taxonomy was published by the United States Department of Agriculture's Soil Survey Staff. This system for classifying soils has undergone numerous changes since that time, and the 2nd edition was published in 1999. Soil Taxonomy remains one of the most widely used soil classification systems in the world. At the highest level, Soil Taxonomy places soils in one of 12 categories known as orders. This is a collection of information and images to illustrate the distribution, properties, ecological significance, and use of these 12 soil orders. Soybean Extension and Research Program - At Iowa State University. Stolt Sea Farm - An international aquaculture company with production of turbot and tuna which are sold throughout the world. Markets its line of seafood products under the Prodemar trademark. Swine Care Handbook - From the National Pork Board. Swine Genetics Handbook - From the National Swine Improvement Federation. Syngenta - Agribusiness specializing in crop protection products and seeds. Theriogenology - An international journal of animal reproduction. U.S. Department of Agriculture (USDA) - Agriculture links, news, information, regulations. U.S. EPA Office of Pesticide Programs: Pesticide Product Recalls - The EPA works to reduce the risks to human heath and the environment by requiring pesticide registrants to report any potential problems with EPA registered pesticide products and with registrants to recall products whenever products are deemed faulty or substandard or could potentially cause injury to consumers or harm to the environment. U.S. Meat Animal Research Center - Scientists at the Roman L. Hruska U.S. Meat Animal Research Center (USMARC) are developing scientific information and new technology to solve high priority problems for the U.S. beef, sheep, and swine industries. USAgNet - Daily resource for national & world agricultural news, markets, weather, auctions and real estate. USDA Agricultural Marketing Service - Administers programs that facilitate the efficient, fair marketing of U.S. agricultural products, including food, fiber, and specialty crops. USDA Research, Education, and Economics (REE) - Through the Agricultural Research Service, the Cooperative State Research, Education, and Extension Service, the Economic Research Service, and the National Agricultural Statistics Service (NASS), REE provides research, analysis, and data to benefit consumers and promote agricultural prosperity and sustainable agricultural practices. Vegetable MD Online - Plant pathology vegetable disease website developed to provide access to the Vegetable Disease Fact Sheets produced over the years by Media Services at Cornell University. The addition of color photographs enhances the use of these sheets for plant disease diagnosis. Watt Net - Agribusiness and food-processing magazines,news, and resources. World Food Prize - The Prize recognizes contributions in any field involved in the world food supply -- food and agriculture science and technology, manufacturing, marketing, nutrition, economics, poverty alleviation, political leadership and the social sciences. "Powerful, policy-driving charities are also among the prize's top backers. The Gates Foundation and the Rockefeller Foundation, whose mutual efforts launched the Alliance for a Green Revolution in Africa (AGRA) in 2006-made combined donations worth $1.93 million between 2009 and 2011. The World Food Prize's connections to the US government also run deep." See Mother Jones. World Resources Institute (WRI) - Current areas of work include economics, forests, biodiversity, climate change, energy, sustainable agriculture, resource and environmental information, trade, technology, national strategies for environmental and resource management, business liaison, and human health. This webpage last updated on Sunday, July 9, 2017 2:17 PM.